We start with our dry roasted macadamia nuts and then cover them in layers of semi-sweet dark Guittard chocolate. (Chocolate may melt a bit during shipment). 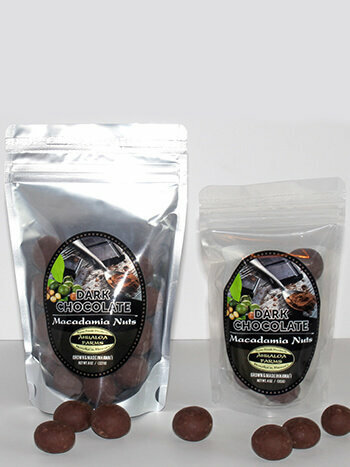 Choose from 4oz and 8oz bags.